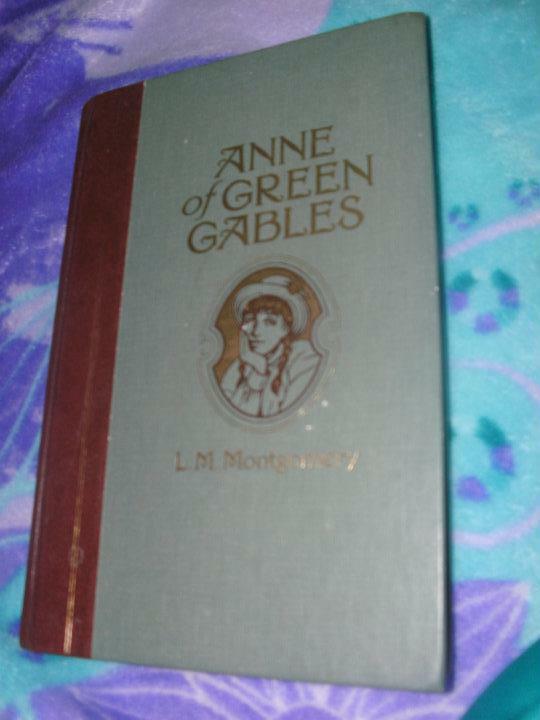 I purchased the book "Anne of Green Gables" by Lucy Maud Montgomery at less that Php50.00. It is one of the easy reads that I really loved that's why I decided to make my first book review on Best Book and Movie Reviews for it. I am including links wherein you can buy the book and even a DVD for which you may use an Amazon Gift Card - E-mail and purchase it for your collection or as a gift. I purchased it in a book sale like most of the books that I bought when I was in college. It was hardbound and thick. Even though a lot of people that I know are intimidated by thick books, it has no such effect on me. Mostly, I prefer big, thick books since these usually have big prints and that makes it easier to read. I don't mind carrying a big book. This is probably why I am not much into e-books unless I do not have any other choice left. This book is about Anne Shirley who was an orphan. She was mistakenly sent to Matthew and Marilla Cuthbert for adoption. They were actually expecting a young boy who can help out with Matthew's tasks in the farm. Anne shocked Matthew who came to the train station to fetch her with her endless talking. He did not have the heart to tell Anne about the mistake. Best Book and Movie Reviews also believes that Green Gables is perhaps the most peaceful and beautiful places. Everybody knew everyone. It is a great place for kids to grow up in and for old people to stay in. It reminds me of my hometown, but that's another story. After a lot of events, the two eventually fell in love with Anne. It is a story that is easy and fun to read especially when you come to the part about Anne's numerous mischief. You will read about the usual things that girls her age want and need but you will also be amused about her unconventional way of thinking. This is a feel-good book and it would be great to read in between heavy readings. It is also a good book for kids who are in transition from short books to one with multiple chapters. The words are not that hard to understand and it is great practice for reading. You may use your Amazon.com Gift Card - $25 (Birthday Balloons design) to purchase a complete DVD set to motivate young readers and hold their interest. You can watch the DVD with them and discuss some comparisons between the book and the DVD. Best Book and Movie Reviews looked for available Anne of Green Gables books online from Amazon. You can also use your Amazon Gift Card - E-mail to buy the Anne of Green Gables: Collector's Edition .